Since its, creation 11th Hour Events Limited has rapidly become a major supplier of technical services and facilities to the entertainment Industry. With a proven track record, its clients range from corporate dinners, conferences and musical events to large high profile international sporting events and major festivals across the UK. At the heart of the company is a dedicated team based in Cardiff that has vast range of knowledge, skills and expertise to tackle the many varied requirements of its diverse client base.11th Hour Events provide technical support and pyrotechnics for many of the UK’s major sporting events including Welsh Rugby Internationals, the ISPS Handa Wales Open, Men’s Seniors Golf Championship and other golf tournaments for the European Tour, Carling Cup Final, Santapod and Extreme Sailing Events. In addition, it works with leading Event Management Companies in delivering support services for many major Music Festivals including; Rockness, Wakestock, Osfest, Camp Bestival and Bloodstock. The rapid growth of the business has been down to its ability to retain its client base and really work in partnership with these clients to enable them to deliver their objectives. Many clients say they class the company as part of their team, which is a great compliment. Furthermore, this has also had a positive impact on the number of referrals received. The industry has a saying – “You are only as good as your last job” and this is a motto is what 11th Hour Events live and work by. Secondly, they have worked hard to develop the team and get the right people in the right jobs within the business. Thirdly, they have continually invested in high quality equipment which is maintained to a high standard. This has enabled the firm to develop an excellent reputation and has had a positive impact on the hire and sales side of the business, which has developed in conjunction with the delivery of technical services. The firm has continued to grow each year in terms of both profit and growth in clients and intends to acquire further work and events through both existing and new clients. 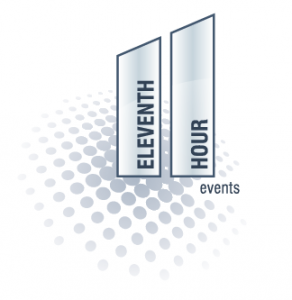 11th Hour Events is an organic business that keeps its standards high which, in turn, ensures both repeat business and referrals, which it will continue to capitalise on in the coming years.